When I started Technorati we tracked 15,000 weblogs and 1.2 million links in the first month. A lot has changed in the world of weblogs over the past 2+ years and Technorati now tracks over 8 million weblogs and close to one billion links. This milestone would not be possible without the help of the entire community of bloggers out there posting on a daily basis. Thank you for writing and we will continue to provide new ways to follow online conversations and be of service to our community. Technorati would like to mark this special event for our members with a "One Billion Links Tracked" contest. Entries must be received by 11:59 p.m. Pacific time on Tuesday, March 29, 2005. Create a new weblog post complete with one guess for when Technorati will surpass one billion links tracked. Date and time should be San Francisco local time (UTC-8:00). Tag your post with Technorati tag "onebillionlinks." We will review all entries and declare the winner as the person with the closest guess on or after we track our one-billionth link. If two or more members guess the same winning time the most senior member -- the first member to join Technorati -- will receive the prize. Technorati employees, contractors, affiliates, and their immediate families are ineligible for this contest. 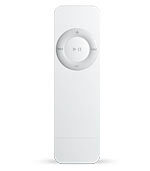 The winner will receive an iPod shuffle with 1,000,000,000 bytes (1 GB) of storage. Older PostHelp us celebrate 1 Billion Links tracked!